Home Uncategorized Is blockchain the future? Blockchain is often referred to as a disruptive technology but it has emerged from relative obscurity to become a relatively popular conversation topic across various industries. In Bermuda in particular, we are seeing a national push to become a world leader in technology and innovation. We are hearing more and more about fintech, virtual tokens, digital assets, cryptocurrencies, smart contracts and initial coin offerings. Each of these concepts rely on blockchain technology which has been increasingly highlighted in the mainstream media as a revolutionary technology that promises efficiency and is shaking up the status quo, although it isn’t quite a household buzzword. 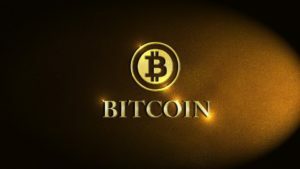 Bitcoin was the first cryptocurrency with mass appeal and is what many people automatically think of when the topic of blockchain or fintech comes up. However, although bitcoin has continued to grab headlines, there is a much bigger picture here and there are many other uses for blockchain apart from cryptocurrencies. Blockchain has the potential to influence every aspect of the global economy and its applications are already developing faster than most governments or regulators can, or have been willing to, grapple with; although Bermuda has already impressively made significant legislative and regulatory advances garnering international attention. We all conduct our lives increasingly online — online banking, shopping, apps, social media, and online services. The execution of core functions of governments and economies are also increasingly on the internet. Most of us now have some sort of digital presence and all our online activities require the sending of information back and forth. Blockchain is expected to impact the way payments, transactions and record keeping are handled in the future, and affect various other aspects of our daily lives, as well as the way that large organisations, financial institutions, and governments are run. Transactions are at the heart of any blockchain in that an interaction with the blockchain involves the execution of transactions. The blockchain decentralised ledger keeps a record of all verified transactions and the transactions are organised into chunks of data called “blocks” that are irreversibly linked to one another — forming a “block chain”. Once a block is formed in the chain it cannot be reversed and is therefore immutable. Decentralisation, immutability, and transparency are key elements of blockchain. We can take ethereum as an example. The ethereum platform is developed by the Ethereum Foundation, a Swiss non-profit, which has advanced the concept of blockchain technology beyond currency applications. Ethereum is an open-source, public, blockchain-based platform that runs smart contracts to carry out transactions. Smart contracts are self-operating computer codes or programs that automatically execute when specific conditions are met and hence do not require third-party involvement. The fact that such technology cuts out the need for third parties means that third-party risk and costs are cut out of transactions. It also means that no one organisation controls the data. Developers around the world can use ethereum to build and deploy their own decentralised applications based on the ethereum blockchain. Etherscan is a “search engine” that allows users to easily lookup, confirm and validate transactions that have taken place on the ethereum blockchain. Hence, we have a large-scale tool for ensuring there is transparency with the technology. No company owns ethereum, and there is no one person, executive or even a board of directors making decisions, which is truly remarkable. It has been noted that ethereum is, in fact, more like a democracy than any private corporation could ever be. People around the world can join the ethereum community and participate in the future of ethereum, enhancing its integrity and minimising the risk of corruption. A truly exciting aspect of blockchain is that it can potentially apply to any industry where information is transferred, or records must be kept — from insurance to commodities to healthcare. We are seeing major industries joining in the blockchain movement. The multitrillion-dollar commodity trading industry is currently looking at the potential of using blockchain technology to track and document the buying, selling and movement of goods. 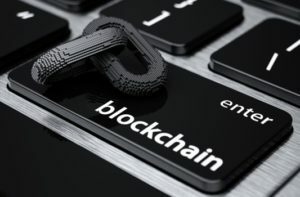 The tracking of cargo through various ports and jurisdictions has traditionally been challenging for the industry, making fraudulent activities difficult to detect — an issue that can be addressed by using blockchain technology to track and trace commodities. Energy companies BP and Royal Dutch Shell are among a consortium that is developing a blockchain-based digital platform for energy commodities trading. Behemoths like JPMorgan, Berkshire Hathaway, and Apple have all expressed interest in blockchain technology and undertaken various blockchain exploratory projects. The list of companies and industries looking to blockchain to provide solutions and create more efficient systems continues to multiply. Blockchain can also help prevent corruption in government. The implementation of systems of monitoring government spending, property registry and digital documents of citizens on the blockchain are all potential ways of ensuring governmental transparency and cutting back on corruption. If every piece of property in a country is accounted for on an immutable blockchain registry, then governments or big corporations could not as easily take land from someone just because a person did not have certain documentation to prove ownership. The risk of ‘land grabs’ potentially exists in any country, no matter how developed, and indeed occurred recently in the United States in relation to the Dakota Access Pipeline at Standing Rock which was an act of land seizure that arguably occurred because of technicalities and confusion of property ownership in the United States. Of course, all of this is not to downplay the risks that exist in relation to blockchain or other technological developments more generally. There are always risks that need to be considered and mitigated. Poor management, problems with the technology, personnel vulnerabilities and mistakes in programming could create a range of potentially serious issues. Blockchain is not a panacea. However, when the right legislation and regulations are put into place, when the technology is used correctly, and when the right players are involved, these are powerful tools. Interestingly, VoIP (or Voice over Internet Protocol, such as Skype) used to be considered quite risky although it is now a mainstay of the worldwide telecommunications industry. Whatever its future, the success of any blockchain project requires the appropriate management of risk regardless of the continuing maturity of blockchain technology and increased cross-industry awareness. Don Tapscott summarised the potential power of blockchain quite aptly when he said “ … the technology genie has escaped from the bottle, and it was summoned by an unknown person or persons at this uncertain time in human history, and it’s giving us another kick at the can, another opportunity to rewrite the economic power grid and the old order of things, and solve some of the world’s most difficult problems, if we will it”. The potential applications of blockchain technology are growing exponentially because almost anything involving transactions or digital assets can be put on a blockchain. Our digital lives will likely develop to rely on blockchain technology without many of us even being fully aware of it. We are experiencing the evolution of how we do business and interact with each other.